Jon Cecchettini, Co-founder & CTO In the clinical trial market, the pressing need for biopharma companies, life science device developers, and clinical stakeholders, is to optimize their clinical pipeline while also managing studies efficiently, and within the prescribed timeline and budget. In an industry where the status quo is to hold product pricing, feature details, and contractual terms very close to the vest, it takes audacity to challenge the norm. Trial By Fire Solutions is disrupting this landscape by providing the transparency for clinical organizations to fully assess and adopt a platform on their own timeline in their own way. Led by Jon Cecchettini, Co-founder and CTO, Trial By Fire Solutions has helped shape the direction of the clinical trials industry through its intuitive, transparent, and cost-effective clinical trials management systems. Having the first fully on-demand subscription platform, SimpleTrials, allows customers to sign up for what they need, when they need it, without any costly or time-consuming surprises. Trial By Fire Solutions combines over two decades of clinical industry and software development experience to help bring visibility, transparency, and accessibility to Clinical Trial Management Systems (CTMS). Cecchettini states, “The team at Trial By Fire Solutions started building CTMS solutions over nine years ago when cloud computing matured to the point where it could be provided as a secure, reliable, and affordable service. However, major software providers have remained guarded about the details and pricing of their products, leaving customers to face the difficult decisions surrounding their ability to adopt, and willingness to invest in CTMS solutions.” SimpleTrials, a core technology solution offered by Trial By Fire Solutions, takes away the common barriers to adopting and implementing a CTMS. With SimpleTrials, organizations in need of technology-based solutions for clinical trial management have the opportunity to utilize the first fully on-demand CTMS that is completely transparent from the start. Cecchettini explains, “Transparency for SimpleTrials means that full pricing, product information, and legal agreements can be found directly on the product website. Customers are not burdened by lengthy financial obligations or contractual terms, as they can select an affordable month to month service option or a discounted annual plan.” Through a fully on-demand platform, customers can subscribe to SimpleTrials through an online sign-up and start utilizing the software immediately. Subscriptions can also be changed within the application at any time, giving customers full flexibility in how and when the software is used as well as streamlined adoption that saves time and capital. Trial By Fire Solutions has priced its CTMS products in a way that give clinical organizations access to necessary management tools without a burdensome investment or hidden costs. Trial By Fire Solutions’ SimpleCTMS and SimpleTrials were both developed for clinical professionals, by clinical professionals. The team at Trial By Fire Solutions is comprised of experienced CRAs, CTAs, and study managers who have worked directly on clinical studies in the past. Bringing together the unique understanding and capabilities of clinical professionals to help direct the functionality of SimpleTrials allows the solutions to stand out from other eClinical software. The methodology behind SimpleTrials follows a path of identifying workflow challenges and addressing functionality needs of clinical professionals. SimpleTrials’ intuitive interface starts with features to allow studies to be set up quickly while simultaneously providing access to customization that suits the needs of users. Cecchettini states, “The features of SimpleTrials are designed to be flexible to adapt to specific client and study needs, such as custom columns and fields that can be easily added to the study startup tracker. The software is backed by expert customer support, and is hosted in a secure, validated data center in the U.S. which creates seamless and straightforward access for users.” Teams of all sizes benefit with a scalable CTMS provided by SimpleTrials in areas of contact management, visit report tracking workflows, ad hoc reporting, and study-specific requirement tracking. 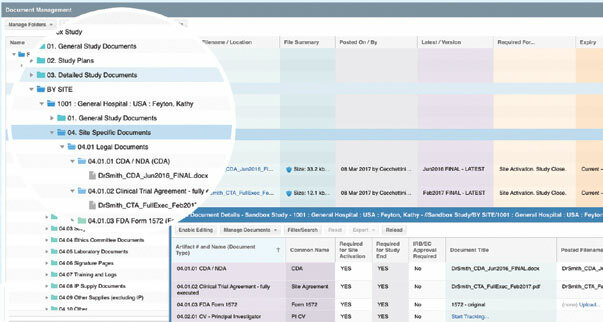 The unique design and simple functionality of SimpleTrials holds notable benefits over conventional worksheet trackers, especially as it relates to compliance. Adding vendors and expanding the study pipeline as study teams grow creates a challenge in maintaining a high level of data accuracy in worksheet trackers. SimpleTrials provides a means for collaboration across all study stakeholders while automatically enforcing compliance. Cecchettini says, “The audit trail, along with other compliance features like user account controls and non-deletion policy, allow teams to collaborate while minimizing risk to lost or altered data.” Also, secure, validated hosting made available through SimpleTrials in partnership with a company well-versed in compliance of life science data helps customers mitigate concerns and risk around maintaining clinical trial records. Trial By Fire Solutions works diligently to offer simplicity in clinical trial solutions, and a recent success with a Seattle-based device company showcases this commitment. The company came to Trial By Fire Solutions with an urgent need to optimize its budget while facing a growing study pipeline and rapid expansion of clinical activities. With only a small clinical team, they needed to streamline tasks, including tracking of site monitoring visits, reporting, site contacts, and documentation—all which exceeded the limitations of manual trackers. SimpleTrials was the best-fit on-demand solution that allowed the company to setup the required list of essential documents and begin tracking site document collection effectively. The clinical professionals on the team found the familiar folder-based organization of documents to be intuitive in use, and the drag-drop upload enabled them to post documents to the system quickly. 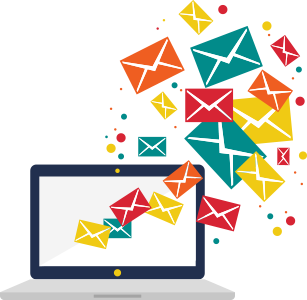 The SimpleTrials alerts, including e-mail and in-application notifications for document expiry and visit report workflow, gave the clinical team greater control over task timelines and completion. The combination of easy adoption, full flexibility, and fast study startup was a welcome improvement to the company and gave them the tools necessary to manage critical study information effectively. Trial By Fire Solutions’ approach to keep messaging and clinical trial technology solutions simple has served the company well since its start—providing unprecedented transparency and affordability to prospective customers. Cecchettini states, “We will continue to focus on excellent customer service company-wide. Our determination to exceed customers’ expectations is driven by our understanding of the questions and issues users face.” Adding to the viability of Trial By Fire Solutions is its product management team. Each member has a pulse on the customer’s use of features, and communication lines are maintained so that feature enhancements and effective support materials like training videos and user guides can be developed and published in a timely fashion. Clinical professionals and trial management teams would be hard-pressed to find another eClinical company where the CTO has an active role on the customer support front. "Customers can select an affordable month to month service option or a discounted annual plan"
Recently, SimpleTrials was selected for the Innovators Hub at the DIA Annual Meeting, a program designed for novel life science products, which highlights its continued innovation and commitment to helping clinical organizations reach their goals in an efficient way. With a platform that features the accessibility and flexibility that is critical for clinical study needs, SimpleTrials’ clients take control of when and to what extent the CTMS is used in practice. Trial By Fire Solutions will continue evolving SimpleTrials to alleviate the pain points in study management, including study finance, monitoring reports, and will add multi-language capability to better support a global user base. Cecchettini states, “With the choices available in eClinical software, we expect customers will continue to choose the best systems for their needs, and we will leverage the flexibility of the SimpleTrials platform to provide seamless CTMS integration across those systems.” By building and offering tools for users with clean, simple interfaces, SimpleTrials meets clinical trial professionals where they are to champion their study needs effectively.